After looking at your post and your "Michigan Animals" book, I looked at the your questions. When I came to, "What animals live in your area or are unique to your area?" I wondered what more I could share as you have seen many of my animal photos. Yesterday morning I was walking along Tura Beach North not far from my home, I was taking more photos for my photo library. Looking through these, I had an idea. I have shown animals but what about their tracks? 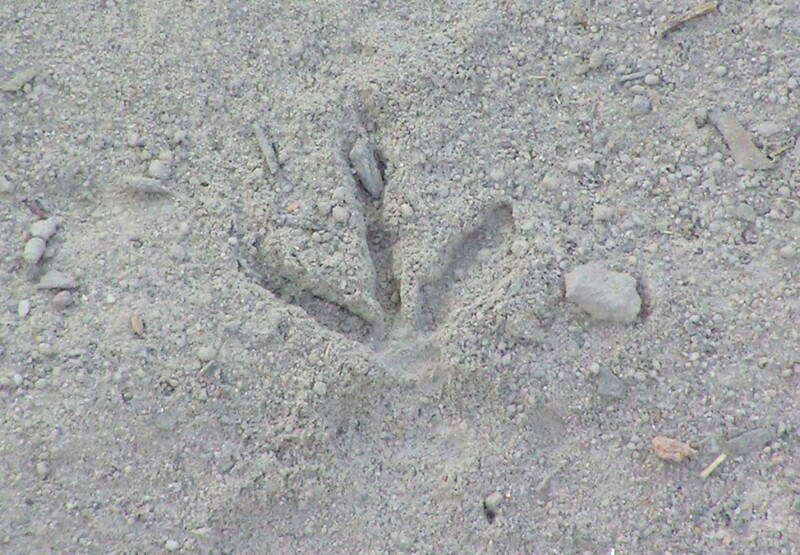 When hiking, I sometimes see tracks left by animals whether lizards, snakes, birds or mammals. It's interesting to see them and guess what animal left them behind. Sometimes I can follow the trails and sometimes I find only a few tracks. Here are some photos. 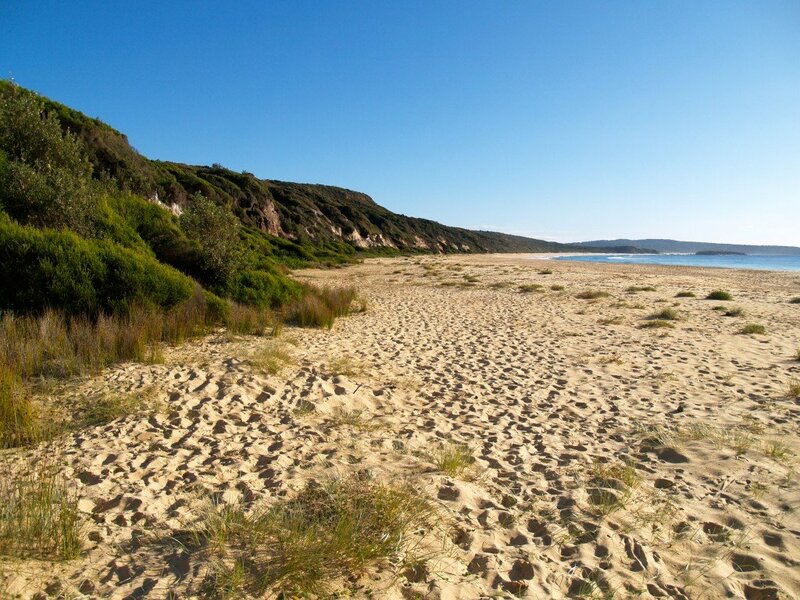 This is Tura Beach looking north towards Bournda National Park. There are many tracks but mostly human. 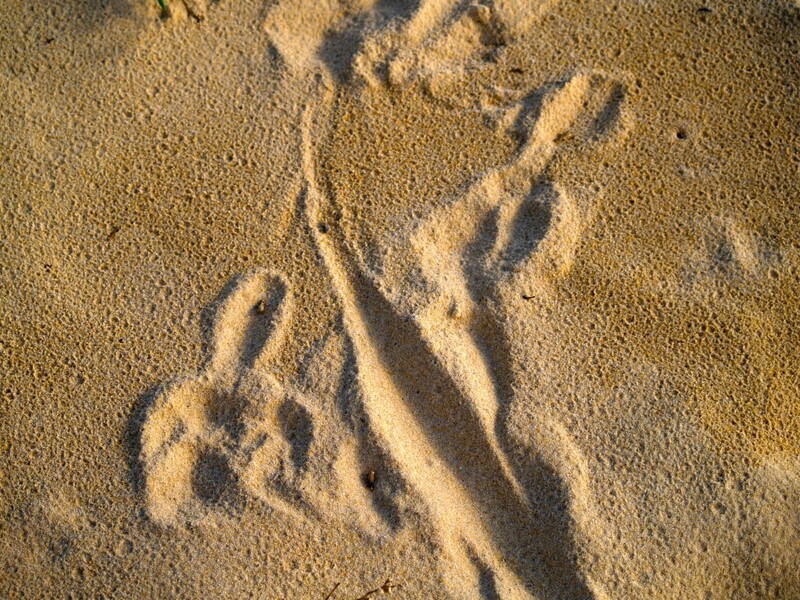 Can you see the wallaby tracks in the sand? 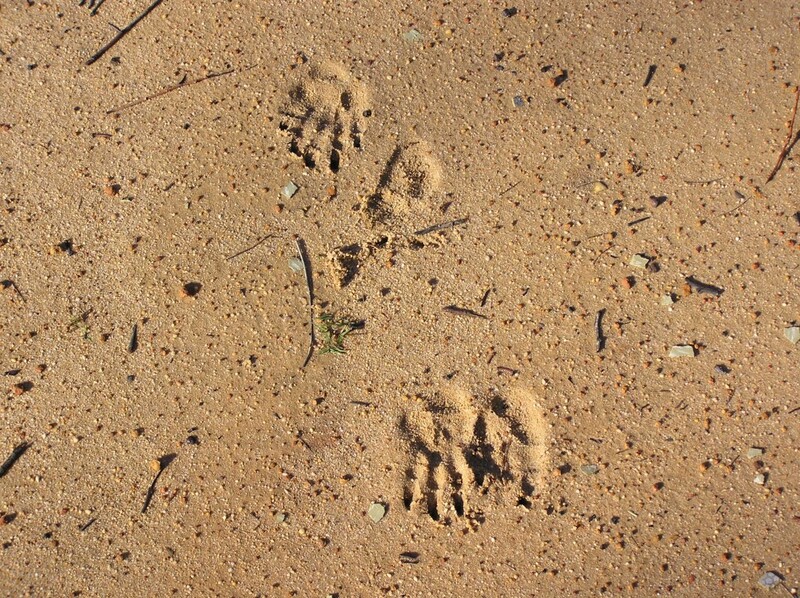 Below is the track left behind a swamp wallaby (Wallabia bicolor). It wasn't hopping. It was walking. When doing this, they place their front paws on the ground then bring forward their large hind legs while dragging their tail along the ground. In the bottom right hand corner of the beach photo you might be able to see where a wallaby had been. If I hadn't seen the paw prints, I might have thought this was the track of a snake. 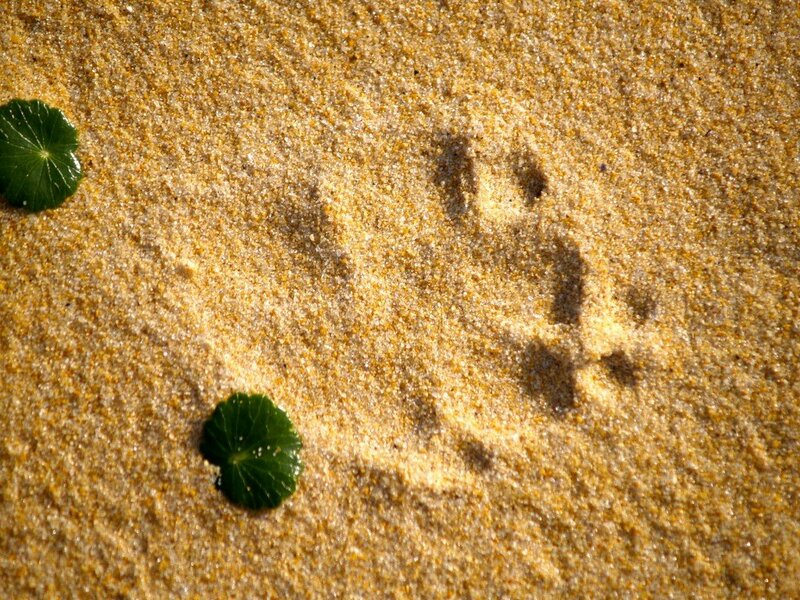 If the paw prints had been small and clawed, it might have been a monitor lizard (goanna). 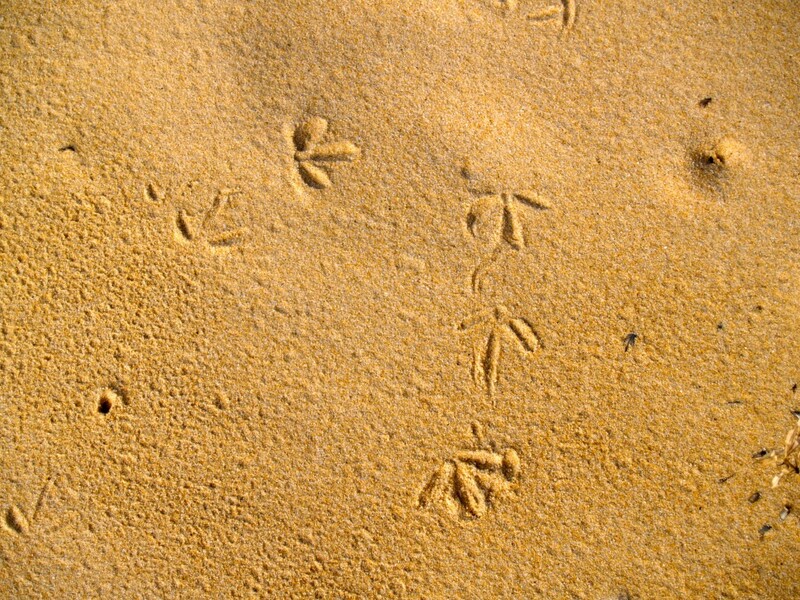 These are the tracks are of a bird. Judging by their size and shape I knew they were from a smaller bird. I suspected they might be the prints of a bird like the pied oyster catcher (Haematopus longirostris). The next track was a little easier. It was reasonably large (you can see the sand grains are larger in this close up shot than the one above). I believe this is the rear paw print of a common wombat (Vombatus ursinus). The following tracks are the easiest for me. I see them so often. They were too small to be a kangaroo. 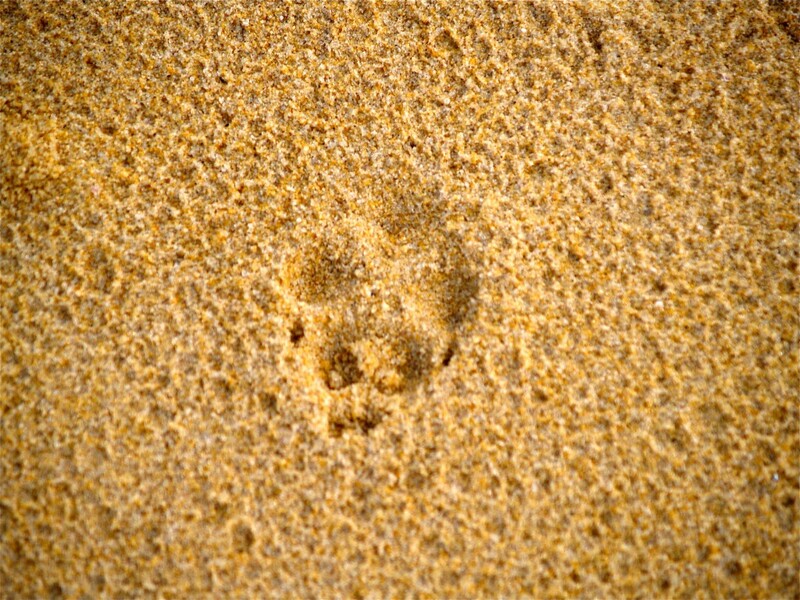 No tail or front paw marks were in the sand, they are the prints of a hopping swamp wallaby. I think these are the prints of a wombat, both front and rear feet. I don't think I need to tell you what animal made this print. 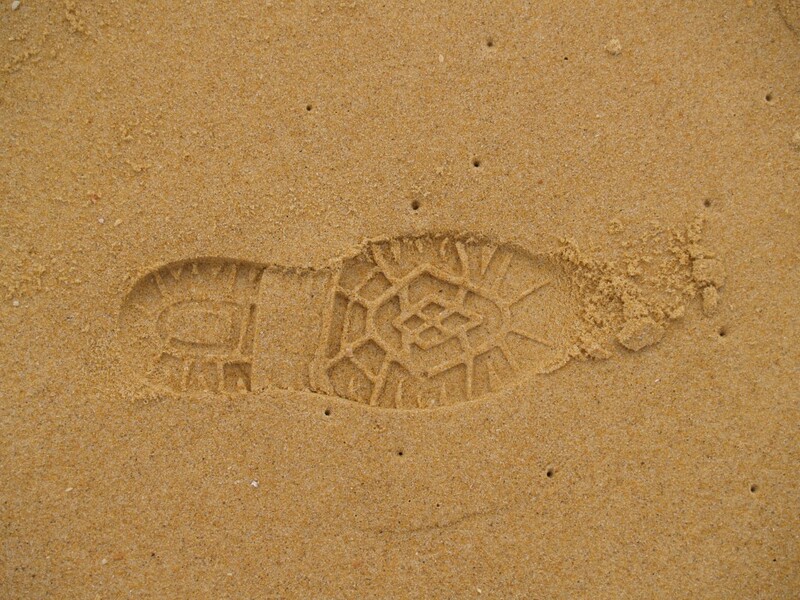 While its track can be found at any time of the year, it is most common to find at beaches on hot summer's days. This was from an adult. 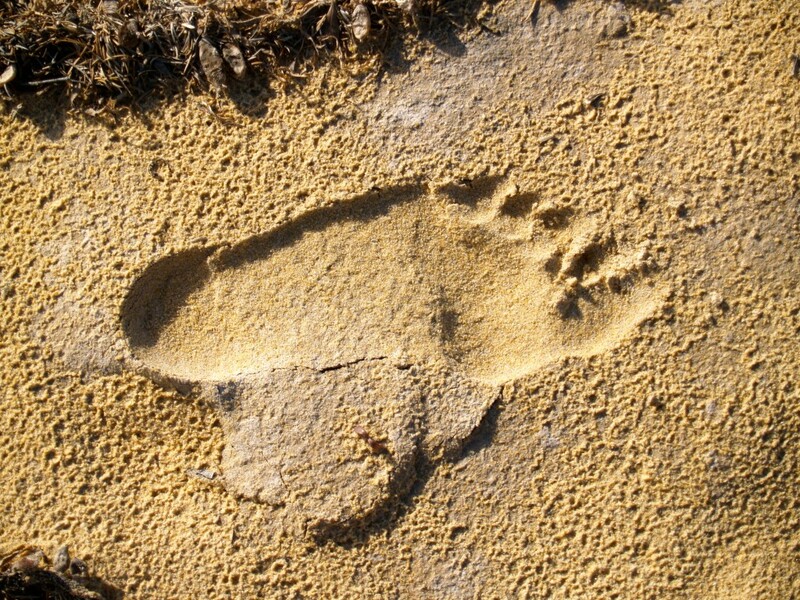 The size and depth of the footprint showed it was not a child. Judging by the shape, size and depth of this print, I suspect this animal was about 185cm (6ft 1in) tall and goes by the name of Ross. I'm sure you have seen this one. It's the print of a small dog. You can see there had been some rain overnight but as the print doesn't show any signs of raindrops, it had probably been on the beach not too long before I arrived. This is the print of another bird. Its size suggests something the size of a seagull but I can't see any sign of webbing between the toes so it couldn't be a seagull or small duck. It is larger than the bird prints above so it isn't something like a pied oyster catcher. Perhaps its from a masked lapwing (plover). The tracks left behind by animals can sometimes tell a story. If we follow them we may see where they stopped to search for food or rested. Have any of you photographed the tracks of animals? 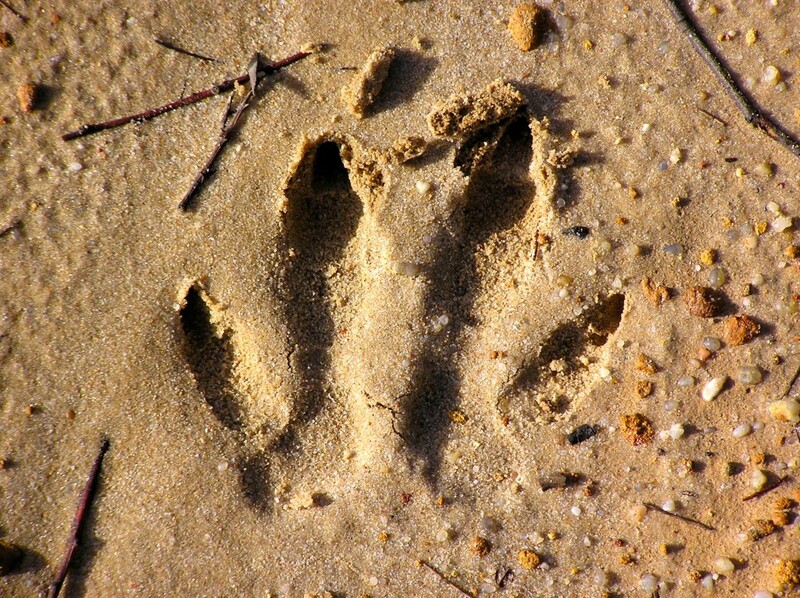 Posted in Animals, Australia, Education and tagged animal tracks, Australia, Ture Beach North, wallaby, wombat on May 3, 2013 by rossmannell.